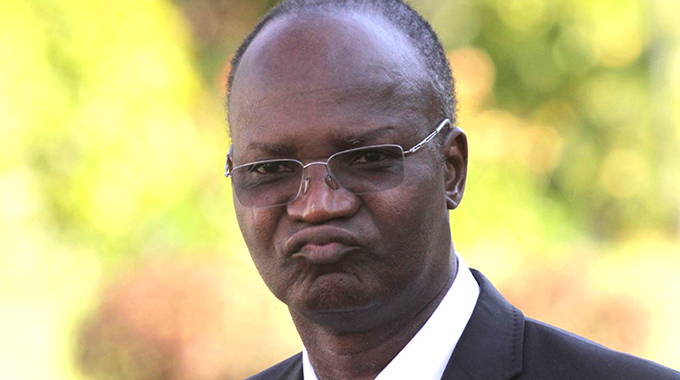 Matabeleland Collective, one of the key stakeholders on Gukurahundi and national healing, yesterday slapped down attempts by fugitive former Cabinet minister Professor Jonathan Moyo to discredit the broad-based plans that have been rolled out to put finality to the issue. Matabeleland Collective, which recently met President Mnangagwa in a historic meeting in Bulawayo, is a grouping of 65 non-governmental organisations (NGOs), faith-based organisations, community-based organisations, trusts, savings clubs and social movements from Bulawayo, Matabeleland North and Matabeleland South. The grouping has in its ranks some of the most respected and seasoned civil society and social justice campaigners. In one of his posts on Twitter, Prof Moyo — who is among a few isolated individuals seeking to prolong acrimony on the matter that is finally being resolved by President Mnangagwa after years of neglect by the former administration — tried to disparage the ongoing dialogue as a “secret deal”. process in accordance with international standards,” tweeted Prof Moyo. Matabeleland Collective however, shot back at Prof Moyo’s unfounded allegations in an exchange on their Twitter handle @matcollective18. “@ProfJNMoyo may need to engage us, unfounded claims on our work so far will not fly, our position on Gukurahundi is very clear, please read the Matebeleland Compendium document, for the record our approach be informed accordingly has always been and is Victim Centred,” reads their response. They also blasted him for trying to ignore submissions they had made to Government. “You seem to be very confused, one point you are referring to law which is a written document that we also refer to and then refuse to read our written document which contains our approach based on law that we have submitted to government and you are desperately trying to ignore,” reads the post from Matebeleland Collective. The grouping also urged Prof Moyo to read the document they submitted to Government before making his baseless claims. “It is disingenuous for you to write unfounded claims on #MatebelelandCollective without an iota of evidence. We hope you will take time and read the document that contains our approach,” they tweeted. Following the meeting between President Mnangagwa and members of the Matebeleland Collective, Government went on to announce a raft of measures to deal with issues arising from the Gukurahundi episode that include provision of birth and death certificates to affected communities, reburials and decriminalised discussion of the issue among a cocktail of measures. Other measures announced by Government include provision of medical assistance to survivors, expediting the policy of devolution to prioritise locals in awarding of tenders and employment opportunities and provision of social services through construction of schools and clinics. Government also resolved to extend the lifespan of the National Peace and Reconciliation Commission (NPRC) for continuous dialogue while a platform to engage with members of civil society in the Matebeleland region will also be established.